Tehran (AFP) - The outpouring of tributes for Iranian filmmaker Abbas Kiarostami, who died Monday, has reminded the world of Iran's huge impact on art-house cinema despite restrictions on its artists. "On the one hand, there is the state cinema, financed by the authorities... then there is an independent sector that is flourishing," Kiarostami told reporters at the Cannes Film Festival in May.A few days later, the point was underlined when "The Salesman" by Iranian director Asghar Farhadi walked away with two awards -- very rare at Cannes -- for best screenplay and best actor.US indie hero Jim Jarmusch, who cast exiled Iranian actress Golshifteh Farahani in his latest film "Paterson", described Iran as "one of the gardens of cinema on our planet" at a Cannes news conference.The key to Iranian cinema's international success lies in its position as "a bridge between the Western and Muslim worlds," said Scott Roxborough of The Hollywood Reporter. "For Western audiences, Iranian cinema has been the ultimate combination of the familiar and the strange," he told AFP. "The visual style and storytelling are familiar, but the political and cultural setting are fascinatingly foreign. "Roxborough said the challenges of working within the tight regulations of the censors actually benefited Iranian filmmakers, forcing them to create a "subtle and unique cinematic language". "Because they were unable to directly deal with political issues, they looked inward -- focusing on personal stories, often stories of childhood. "Because metaphoric language was considered suspect, they specialised in realism that appeared on its surface to be like a documentary, but took on an almost fabulous, mythic character. "- Red lines -Iran's cinematic achievements are all the more impressive for the constraints its filmmakers face in a country of strict religious, political and cultural red lines, where directors must have every script pre-approved by the state.Jafar Panahi, a close protege of Kiarostami, won last year's top prize at the Berlin film festival for "Taxi" despite being banned from making films for 20 years after he tried to make a documentary about anti-government protests in 2009.Meanwhile, a 30-year-old director, Keywan Karimi, was sentenced to 223 lashes and six years in prison -- later greatly reduced after an uproar from artists in Iran and worldwide -- for making a film about graffiti.But Iranians have one of the richest artistic traditions on the planet -- dating back to the great Persian poets of the ancient world -- and art remains a central part of daily life despite the current challenges. "We may be behind in many fields... but for sure in art, we can attract the attention of the whole world," award-winning Iranian director Shahram Mokri told AFP.He said Kiarostami showed how to set aside the daily concerns of politics to speak about universal themes and issues. "He kept himself away from any marginal issues, from judging others, and focused on art, poetry and painting. He just lived in the world of art. He went beyond Iranian borders," said Mokri.Despite a wealth of great film-makers, it was the singular achievements of Kiarostami that opened the way for those that followed. "He definitely paved ways for others and influenced a great deal of people," Farhadi told Britain's The Guardian. "He wasn't just a film-maker, he was a modern mystic, both in his cinema and his private life. 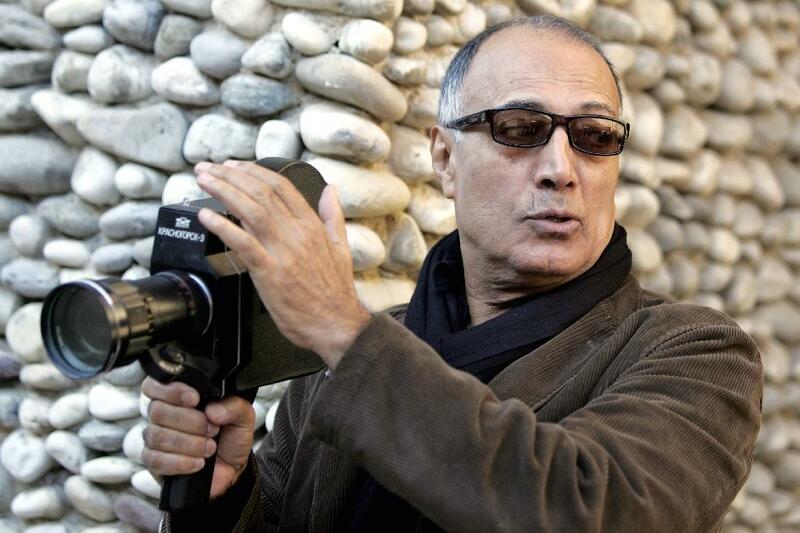 "Kiarostami, who won the coveted Palme d'Or at the Cannes Film Festival in 1997 for "Taste of Cherry", emerged from the Iranian New Wave of the late 1960s to become one of the world's most revered directors.